You can’t see them that well, but what you can see is the definition of their arms while wall walking! Beth (on the left) is 60 years young and amazing! 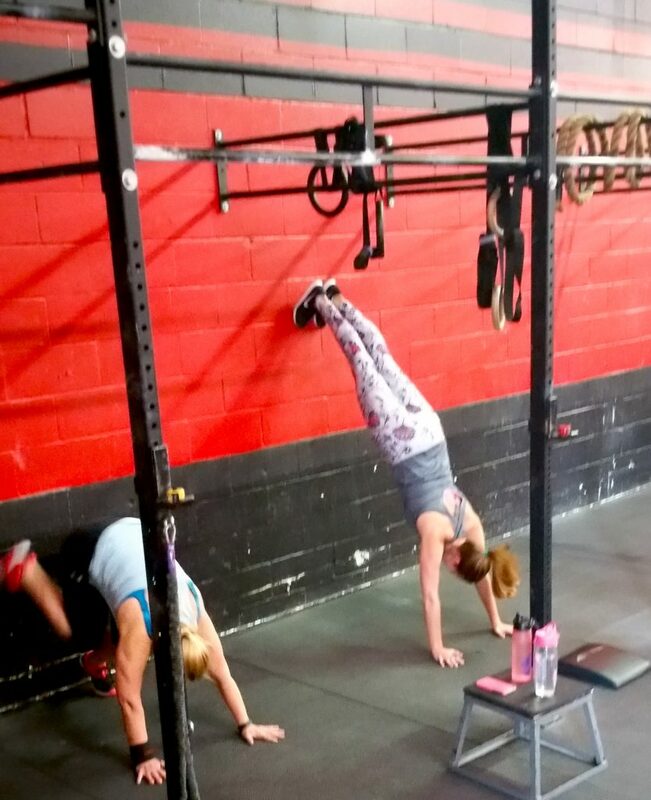 Moments before this photo was taken, Kristin (on the right) didn’t think she could do this exercise but her coach had a different opinion. COULD JOGGING ACTUALLY HELP YOU GET STRONGER? Unless someone takes a picture we never really see how strong we look. Not bad for an old broad!! Plus Wall Walking was fun!